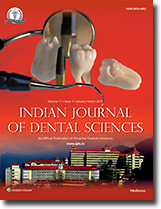 Aim: An in vitro study was conducted to comparatively evaluate the two techniques – hand instrumentation and ultrasonic file irrigation for removal of various calcium hydroxide (Ca[OH]2)/chlorhexidine containing medicaments from the root canal by using Biological microscope and Digital Camera. Materials and Methods: Sixty-four human single-rooted teeth with straight canals were used. Root canal preparation was performed using Pro-taper Universal for Hand use (Dentsply Maillefer, Ballaigues Switzerland). Teeth were randomly divided into three Groups A, B, and C of 21 teeth each, the remaining tooth remained untouched and served as a negative control. 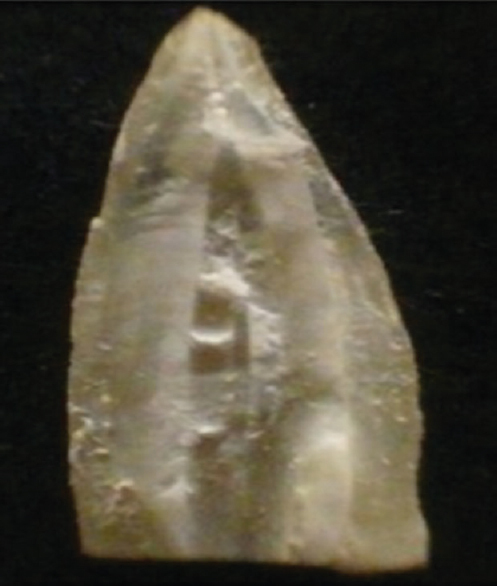 Teeth of Group A were filled with Ca(OH)2 mixed with saline. Teeth of Group B were filled with Ca(OH)2 mixed with 0.2% chlorhexidine gel. Teeth of Group C were filled with Ca(OH)2 mixed with 0.12% chlorhexidine solution. Teeth were stored at 37°C and 100% relative humidity for 7 days. Then Ca(OH)2 was removed using two techniques: hand instrumentation and ultrasonic file irrigation in both groups. Teeth were sectioned longitudinally and observed under Biological microscope and Digital Camera. Results were statistically analyzed with the Mann–Whitney and Kruskal–Wallis test. Results: The results showed a significant difference between hand instrumentation and ultrasonic file irrigation in cervical and middle third, but no statistic difference in apical third. Conclusion: None of the techniques used in this study removed the inter-appointment root canal medicaments completely. Objective: The objective of this study was to assess the prevalence of periodontal disease, oral mucosal lesions, and tobacco usage among rubber factory workers of Bahadurgarh, Haryana, India. Materials and Methods: A descriptive cross-sectional study was conducted on a total sample size of 3290 workers with an age group of 19–60 years old. Tobacco-related habits, periodontal health, and oral mucosal lesions were recorded using the modified World Health Organization pro forma (1997). Descriptive statistics, Pearson Chi-square, and one-way analysis of variance were used. Results: Higher tobacco usage frequency (78.28%) in both forms smoking and smokeless was found. The prevalence of periodontal disease and oral mucosal lesions was 87.4% and 41.24%, respectively, among the study population. The most common oral mucosal lesion found was leukoplakia (10.13%), followed by oral submucous fibrosis (4.67%) among the 50–60 years age group. The most commonly involved site in the present study for the occurrence of oral mucosal lesions is buccal mucosa (30.5%), followed by vestibular region (22.3%), tongue (16.1%), labial mucosa (10.3%), and palate (9.7%), whereas floor of mouth (6.4%) and commissures (4.7%) were the least involved. Conclusions: The findings of this study provided an insight into the periodontal health status, adverse oral habits, and the prevalence of oral mucosal lesions of factory workers, which may be useful in planning oral health programs and free services for tobacco cessation and dental treatment, especially to this industrial sector. Introduction/Background: Fluorosis has attained an alarming dimension all over the world. It has been identified as an endemic disease among which Uttar Pradesh is facing serious health problems. Aim and Objectives: This study is aimed to determine the awareness about fluorosis among the rural population examined during oral health screening camps, to assess the opinions about the appearance of dental fluorosis and to correlate the perception of dental fluorosis with the psychological health of the rural population. Materials and Methods: A questionnaire was used for the assessment of knowledge, attitude, and esthetic perception toward dental fluorosis among the rural population of Meerut. A cross-sectional study was conducted in four blocks of Meerut where 677 patients were screened positive for dental fluorosis were selected. Results: The present study revealed that 80% of the study populations were aware of the dental fluorosis and 51.2% of the study population knew about the availability of the treatment for dental fluorosis. The study participants had a negative attitude toward the dental fluorosis as 70.9% of them never consulted the dentist and 31.5% responded that they do not find their teeth to be esthetic. Conclusion: Dental fluorosis is a not only a cosmetic problem that impairs social well-being but also affects the oral health-related quality of life. Background: One of the problems appearing in the process of fixed prosthetic restoration is the accurate impression of the marginal detail so retraction of the gingival sulcus is a management of soft tissue before an impression procedure. Aim: To evaluate the effect of two different medicaments on the kinetic absorbency of retraction cord. Methodology: Ultrapak retraction cord (No. 00) cut into pieces of identical lengths (25 mm) was used. They were immersed in medicaments (Potash Alum and 21% ferric sulphate) for 20 minutes. Artificial saliva was used to simulate the oral environment. The capability of the cords to absorb fluid was measured by a gravimetric method. The data were analyzed by F test analysis, and P < 0.05 was regarded as significant. Results: There was a significant difference in kinetic absorbency of all the three groups (P < 0.01). Conclusion: The results of this study indicated that kinetic absorbency increased when treated with medicaments. Potash alum showed most favourable results. Background: Visfatin, also known as nicotinamide phosphoribosyltransferase, is an adipokine implicated in obesity and plays an important role in regulating the defense and immune functions and is also suggested as a pro-inflammatory and immunomodulating marker for periodontitis. Hence, the aim of the present study was to assess the salivary levels of visfatin in obese patients with and without chronic periodontitis and nonobese healthy patients. Materials and Methods: A total of 45 patients were divided into: nonobese healthy (Group 1, n = 15, body mass index [BMI] ≤22.9 and waist circumference [WC] <90 for male patients and <80 for female patients, pocket probing depth [PPD] ≤3 mm, gingival index [GI] <1, and clinical attachment level [CAL] = 0), obese without chronic periodontitis (Group 2, n = 15, BMI ≥25.0 and WC ≥90 for male patients and ≥80 for female patients, PPD ≤3 mm, GI <1, and CAL = 0), and obese with chronic periodontitis (Group 3, n = 15, BMI ≥25.0 and WC ≥90 for male participants and ≥80 for female participants, PPD ≥5 mm, GI ≥1, and CAL ≥3 mm). Whole saliva samples were collected, and visfatin levels were evaluated using standard enzyme-linked immunosorbent assay. The results were analyzed using SPSS and Mann–Whitney analysis. Results: The highest visfatin levels from saliva were detected in Group 3, while the lowest levels were detected in Group 1. Significant differences were found in salivary visfatin concentrations among the three groups. Conclusion: The salivary level of visfatin was higher in obese patients with and without chronic periodontitis. 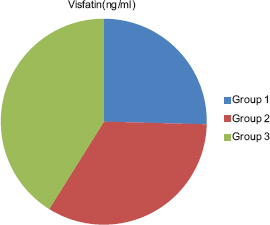 Visfatin may be used as an inflammatory marker for the detection of obesity and periodontal disease. Background: There is an alarming rise in number of people with diabetes mellitus over these years. Oral physicians are more liable to come in contact with a significant number of patients with diabetes mellitus. Due to the lack of early diagnosis and treatment, diabetes is a major cause of death worldwide. While the early diagnosis of diabetes is essential to prevent its complication, the most commonly used diagnostic method is by the detection of glucose level in blood, but the sample collection is invasive and painful. Thus, there arises a need for a noninvasive and painless technique to detect glucose levels. The aim of this study is to estimate the glucose levels in saliva and correlate it with serum glucose. Materials and Methods: The study was conducted in the Outpatient Department of Oral Medicine and Radiology. Forty patients' serum and saliva were collected and the levels were estimated using the glucose oxidase-peroxidasemethod. Results: Data obtained was subjected to statistical analysis using t-test. Highly significant P value (P = 0.00) was obtained between the serum blood glucose and salivary glucose level. A distinct difference was observed in the salivary glucose between the control and diabetic group. Conclusion: Diabetes mellitus is a globally widespread disease. As the salivary collection is easy and noninvasive, in this study, an attempt has been made to diagnose diabetes mellitus by estimating the salivary glucose level in comparison with serum blood glucose level. Aim: The aim of the study is to assess and compare the knowledge regarding tobacco cessation among various educational groups. Materials and Methods: A questionnaire comprising 15 questions was distributed among three educational groups (graduate, undergraduate, and postgraduate/faculty) in dental colleges of Ludhiana. Statistical Analysis: One-way analysis of variance and Student's t-test were used to compare the knowledge among different groups using education level and gender as the variables, respectively. Results: A total of 300 participants (73.17%) completed the survey of which 71 (23.66%) were undergraduates, 160 (53.33%) were graduates, and 69 (23%) were postgraduates/faculty. Statistically significant difference was detected among the three educational groups and gender. Conclusion: Difference in viewpoint was observed on the basis of educational groups and gender. Participants have insufficient knowledge and training for tobacco cessation. Adoption of new measures to stop tobacco consumption is the need of the hour. Intoduction: OSA consists of repetitive short episodes of UA collapse with complete (apneas) or partial (hypopneas) obstruction of airway during sleep, associated with snoring and transient arousal, causing sleep fragmentation and insufficient and nonrestorative sleep. Aim: To recognize patients with high risk of obstructive sleep apnea using lateral cephalometric measurements in patients receiving routine dental treatment. Materials and Methods: The study was conducted on 120 patients, which were divided into two groups based on Berlin questionnaire which include 10 questions in 3 categories (snoring, day time drowsiness and hypertension/obesity) the study Group included 60 Patients and 60 normal patients. Digital Lateral Cephalometric analysis was done in all individuals to measure upper air way diameter (UAD), mandibular to hyoid distance (MHD) and to evaluate shape of soft palate (velar), by two observers at two different intervals. The data were statistically evaluated with student't' test and chi Square test using SPSS version 23.0.0. Results: The study comprised of 120 subjects who were divided into different age groups ranging from 18-65yrs. There were 61 males and 59 females when patients were divided according to gender and had no statistical significance. Based on Berlin questionnaire 51.7% were on high risk and 48.3% were on low risk. The UAD was reduced in study group than in control group and was statistically significant (P = 0.044). The MHD distance was increased in study group when compared with control group and was statistically highly significant (P < 0.001). No significant difference was found between groups when shape of soft palate was compared. Conclusion: Patients with lower UAD and higher MHD values are at high risk of developing OAS, dentist will play a vital role in diagnosis of these patients by thorough clinical examination & by cephalometric analysis. Aims and Objectives: Curing units in dental offices across Punjab are analyzed for a practical purpose. 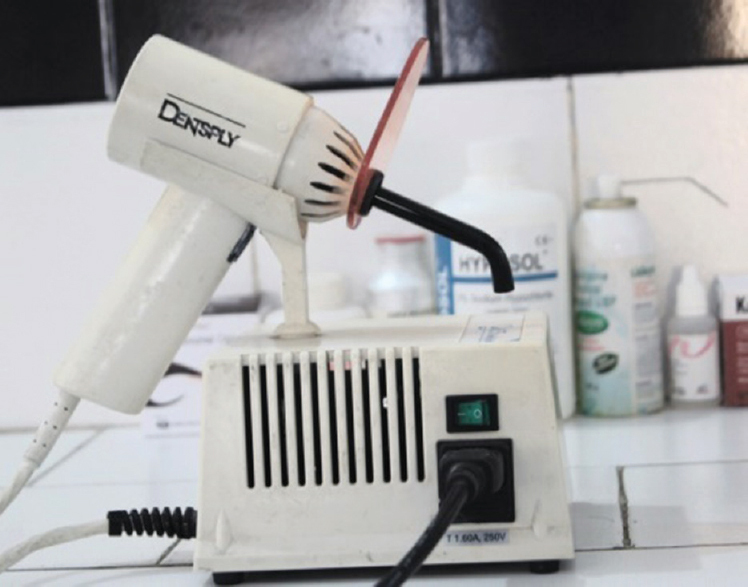 Materials and Methods: One thousand light-curing units regularly used by the dentists in dental offices across the state of Punjab were examined for their output intensity. Various factors include as follows: type, power of light-curing unit, material molecule formation on tip (YES/NO), diameter of guide tip, and frequency of bulb replacement. A radiometer, a magnifying glass, and a Vernier caliper were used. Data were collected and analyzed. Results: About 75.80% of dentists use light-emitting diode (LED) lights, while 24.20% utilize halogen lamps to cure dental composites. 36.60% of light-curing units of the state had light intensity below 300 mW/cm2, out of which 61.60% were quartz–tungsten–halogen (QTH) and 28.60% LED light-curing units. 17.40% of light-curing units recorded light intensity between 301 and 400 mW/cm2. 46% of light-curing units registered an output intensity of >400 mW/cm2. 79.60% of light units showed material particle buildup on light-curing tips. 62.40% of dentists never replaced the bulbs of their light-curing units. Two-third of dental the practitioners avoided infection control barriers on the tips of curing units. Conclusions: There is a deficit of knowledge among dental practitioners in Punjab regarding care of light-curing units. Dental light-curing units should be regularly checked and infection control remedies should be opted. Aim: This study aims to analyze and compare the fracture resistance of endodontically treated extracted teeth with epoxy resin-based sealer AH Plus, MTA Fillapex, and Bioceramic Sealer. 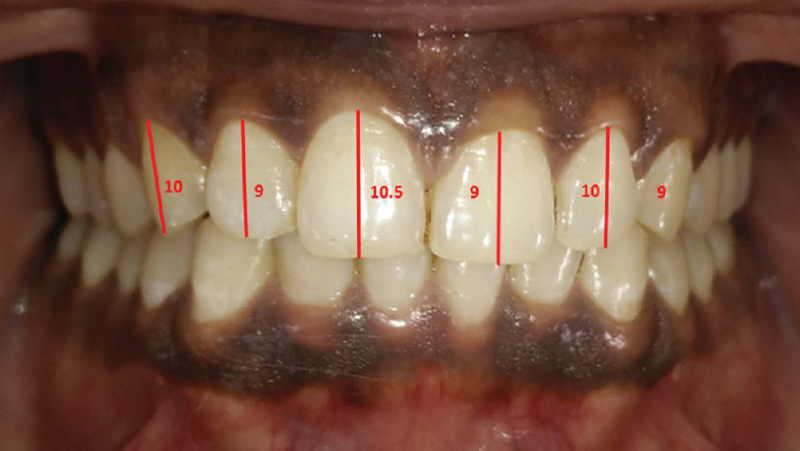 Materials and Methods: Single-rooted mandibular premolars (sixty) were divided into three groups (n = 20 each) after decoronation at cementoenamel junction. Root canal preparation was carried out using ProTaper rotary files, and sodium hypochlorite in 3% concentration was used for irrigation. Finally, obturation was accomplished with AH plus (Dentsply, Germany) (Group 1), MTA Fillapex (Angeles, Brazil) (Group 2) and Bioceramic (Brasseler, USA, Savannah, GA) (Group 3) sealers and gutta-percha. Fracture point in the root was recorded using universal testing machine. The data were analyzed statistically using one-way analysis of variance. 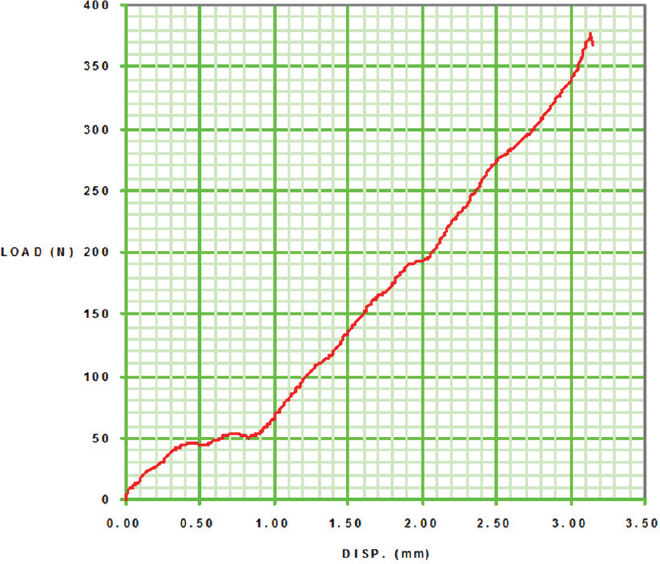 This was followed by pair-wise comparison using Tukey's post hoc test. Results: Bioceramic Sealer showed better fracture resistance. This was followed by MTA Fillapex and AH Plus. However, the results among the three groups were not statistically significant. Conclusion: The highest fracture resistance was offered by Bioceramic Sealer when compared with MTA Fillapex and AH Plus. Adult patients with severe skeletal malocclusions require orthognathic surgeries. 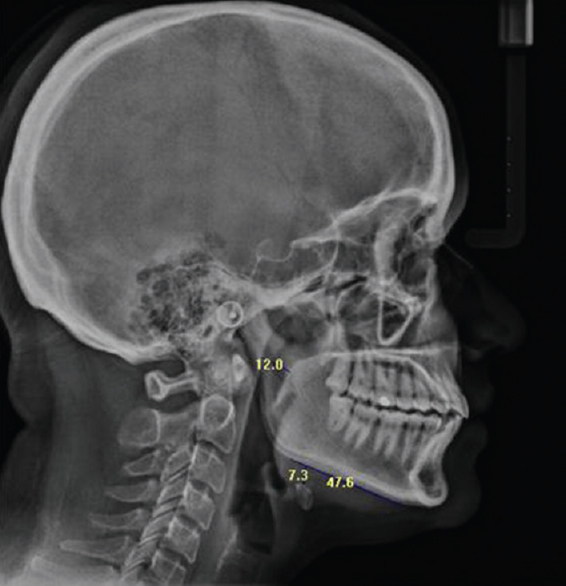 Two case reports with skeletal Class II malocclusion due to retrognathic mandible discussed in this article were treated by bilateral sagittal split osteotomy mandibular advancement. Treatment results showed good improvement in facial profile, Angle Class I molar and canine relation, good occlusion after surgery for both the cases. A gummy smile is a frequent encounter in patients requiring esthetic treatment. A common cause for it is a coronally situated gingival complex that failed to recede normally during eruption known as altered passive eruption (APE). The biggest challenge lies in the determination of clinical presentation, diagnosis, and knowledge of the periodontal plastic surgical methods to eliminate the condition. A careful preoperative planning is necessary to avoid complications, enhance postsurgical stability of the gingival margin, and bring about biological harmony. This case series brings forward the surgical management of three cases of APE treated with different techniques, with a 3–9-month follow-up. The correction of the gummy smile resulted in a significant improvement in the esthetics along with suitable hard and soft-tissue harmony. These cases illustrate the predictability of such treatment through a proper diagnosis and treatment planning. Mandible, the lower jaw, creates peripheral boundaries of floor of the oral cavity, and it is the most common site for intraoral tumors which often require the resection of their large portions. 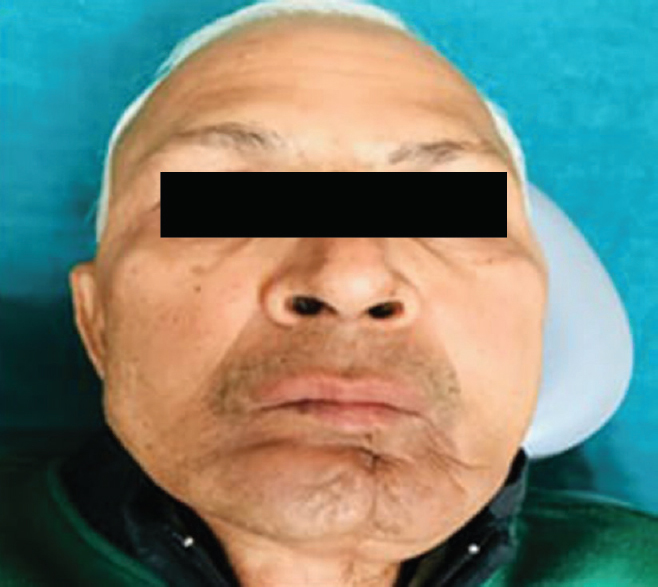 Loss of continuity of the mandible leads to deviation of the residual segment toward the surgical site and alteration in muscle function. This results in facial asymmetry and malocclusion. Numerous prosthetic methods are employed to minimize deviation and improve masticatory efficiency, which include implant-supported prosthesis and palatal-based guidance restorations. 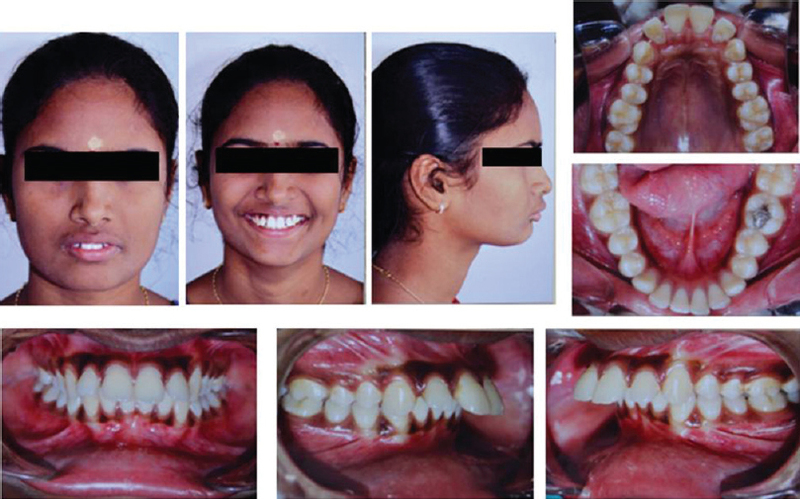 This case report describes the rehabilitation of a hemimandibulectomy patient using twinned teeth (two rows of teeth) arrangement.